Notes: Fits Dana 80 applications. 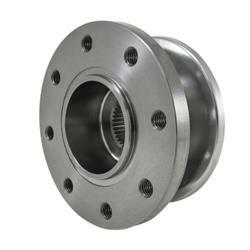 Mate your yoke with Yukon Gear & Axle companion flanges. These round steel replacements are available in different spline counts to fit a choice of applications. For general replacement or performance, Yukon Gear & Axle companion flanges are ready to move your project forward.